“After the authorities heeded our request on publishing the citizenship decree, and after the Interior Ministry confirmed that preliminary investigations have unveiled the presence of security and judicial suspicions over several names included in the citizenship decree, the Phalange Party , the LF and the PSP call on the President to annul this decree,” the statement said. The Interior Ministry published the highly controversial decree on Thursday, after politicians and ordinary citizens alike were outraged over the secrecy that shrouded the move. The list published on the ministry’s website comprised more than 400 names of various nationalities. A quarter of the applicants are Syrians and just over a quarter are Palestinians. From Syria, those on the list include the three sons of Syrian steel and flour mogul Farouq Joud, powerful industrialist Khaldun al-Zoabi and Mazen Mortada, the son of a former Syrian minister. 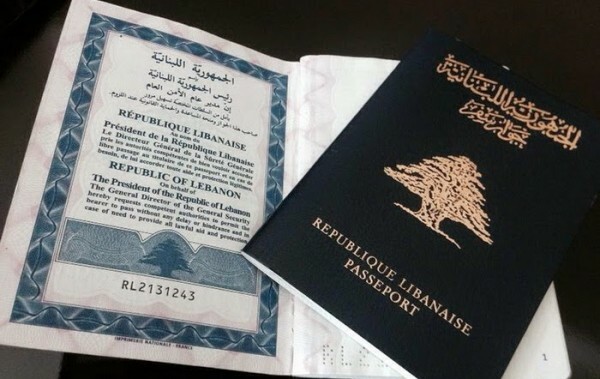 The decree’s critics have slammed the secrecy that surrounded the move and said it adds insult to injury for thousands unable to acquire nationality because they were born to Lebanese mothers and foreign fathers. Although it was issued on May 11, according to the Interior Ministry’s statement, news of the decree’s existence only emerged last week when dozens of names allegedly included in the edict were leaked to the media. The president’s office confirmed the decree’s existence, but said it had submitted the names to the General Security agency to verify they all have “the right” to become Lebanese. That agency, in turn, established a hotline and encouraged citizens to call in any relevant information about named individuals. Lebanese media has reported the list may include businessmen known to be close to Syrian President Bashar al-Assad. “There are suspicions over only four names among them individuals wanted on Interpol warrants,” ministerial sources told Asharq al-Awsat newspaper in remarks published Friday. “The Interior Ministry was aware of their situation and it submitted documented reports about them to the Presidency and the Premiership, demanding that their names be omitted from the decree,” the sources added. Patriarch Beshara al Rai slammed the decree during the Sunday mass as unconstitutional and criticized the citizen ship law as outdated . “Is it conceivable that the law issued in 1925 under the French mandate, 20 years before the National Charter and independence will remain the basis for the granting the Lebanese nationality?” He said on Sunday . he added: While the Lebanese people were waiting for the birth of a new government that would be at the level of challenges, expectations and promises, the authority shocked the nation when they issued a decree to naturalize a group of foreigners who were not of Lebanese origin.